There is an almost deafening buzz in the current technology climate about moving to the cloud. The cloud, be it public, private, hybrid, or a combination thereof, promises unprecedented agility, scalability, flexibility, cost savings, and more, and the exodus in that direction can be felt at nearly every level of the IT organization specifically and the business as a whole. For every application that gets switched to a SaaS model, there is another legacy system that continues to labor away in a data center. Inventories. Financials. ERPs. These are serious solutions with intimidating footprints that cannot simply be ported over into an as-a-service version of their previous selves. This scenario puts IT teams in an interesting position. They want to move to cloud. More specifically, they want to meet business expectations and mandates for digital services and experiences, and cloud is often the best way to do that. But you can’t just abandon the systems of record on which their back-ends are built. The answer lies somewhere in between: building bridges and outposts that connect cloud technology and the services it enables to the data and power of your existing back-end systems. The Keste integration with Salesforce.com is quite simply the fastest way to become a digital business. You probably already have a system (or systems) of record, which you don’t particularly want to rip and replace. You need a way to connect the two worlds and build those bridges in a fast, cost-effective way. That’s where Keste comes in. We are your cloud enabler. We seamlessly integrate your legacy systems with your modern digital hub; often, but not exclusively, Salesforce. It’s not quite as easy as “plug and play” – these integrations are tailored to your business, not off-the-shelf – but we do leverage our 15+ years of expertise, lessons learned from countless implementations, and reusable accelerators to deliver solutions that modernize your infrastructure for the minimal possible investment. This integration becomes your digital hub: the link between your legacy applications and innovative, unified digital experiences. It’s the key to unlocking both the power of your old infrastructure and the opportunities of the cloud. And for many businesses, it is – or should be – Salesforce.com. From its deep and broad sales functionality to its innovations around customer service, partner portals, communities, CPQ, and more, Salesforce gives you the foundation to start your digital journey. But Salesforce can’t be your only answer. Keste is the layer that allows you to complete your transformation. What does this look like in practice? Most organizations end up standardizing on a cloud-enabling platform. 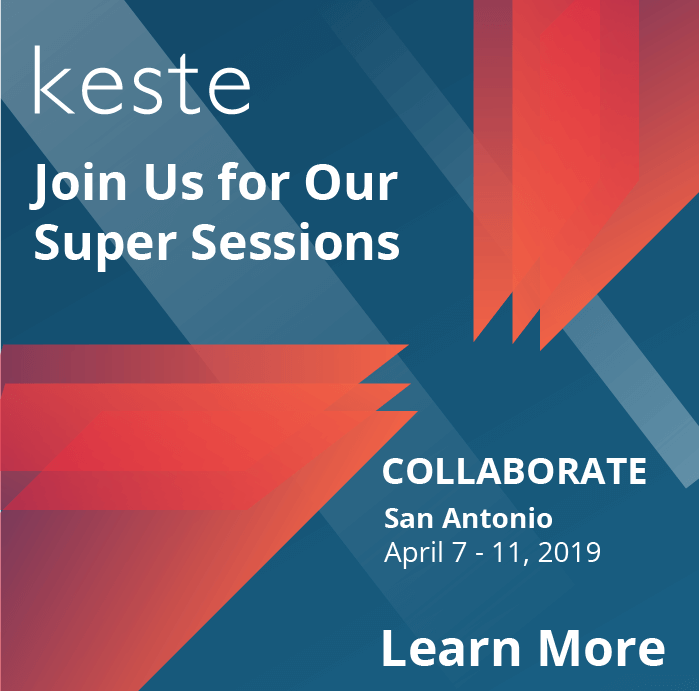 Sure, there will be other, independent SaaS apps here and there, but for business-critical applications and a front-end layer that integrates and facilitates back-end operations, Keste provides solutions that offer the capabilities and economies of scale that make sense. Sales: Salesforce’s bread and butter is standard operating procedure for us, too. We integrate and automate the entire sales process from end-to-end, customizing it for your business. That may mean upgrading processes like tracking leads and contracts or running forecasts from spreadsheets to SFDC, or creating a more integrated, powerful mobile experience that connects Salesforce to your legacy applications, or customizing your dashboards and reports. Whatever your sales team needs to become a digital workforce, we can help. Customer service: The Salesforce Service Cloud opens up tremendous opportunities for improving customer service, but the magic doesn’t just happen without some back-end assistance. We can integrate your Service Cloud with your financial system so that customer service reps have the information they need at their fingertips. With the right connections, CX becomes seamless: a customer calls in to order something, for instance, and the rep already knows everything about their account. Features like Live Agent, chat, smart routing, knowledge base, and more also fall into this bucket and require additional services to get up and running in an optimal way. Communities: The Salesforce platform ingeniously unites user communities with sales and customer service to become a digital experience hub. From employees to partners to customers, we help make these communities unique, full-featured, and part of your overall ecosystem. Keste’s CPQ expertise plays a particularly strong role here; we can integrate CPQ into partner communities, for example, so partners can offer quotes on-demand. Your digital hub isn’t just a pretty façade on top of your legacy applications. The platform, and the connective tissue between it and your systems of record, need to serve up user-friendly experiences while leveraging all the power of your existing data and infrastructure. At Keste, we deliver the integrations – and more importantly the innovation – to make the cloud-enabled future your current reality. To learn more about Keste’s solutions for Salesforce.com, visit our website. Are You Ready for Some SUPER Fun at Dreamforce 18?